Welcome to the Calne Tennis Club website. Have a browse through the pages to see what we offer our members and check out our Facebook page for weekly updates. The club is an LTA registered venue and is a great place to play, whatever your ability. Whether you are looking to compete in one of our league teams, play socially at our club sessions or tournaments, play amongst friends or other members whenever you choose, improve your game with our coaching team, or all of the above, we will have something for you. 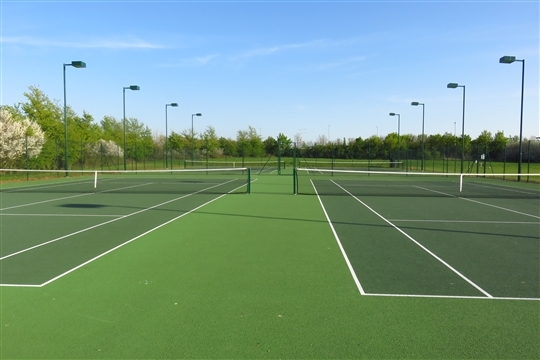 We have 4 floodlit courts making play possible all year round. You are most welcome to come along and join in a club session. You will receive a friendly welcome. See our Social Tennis & League Tennis pages for more information. We offer individual memberships or family options and our coaching programme can offer you and your children the chance to learn or improve their tennis too. We run coaching sessions from tots to teens and our coaches also offer individual and group lessons for all ages and abilities. New for 2019 - 25% Discount on full Membership for all new members, adult and junior, for the first year! The club itself is our best advert so come along and have a go! We now operate our Memberships all online. To join as a new member you will need to register or sign in with Clubspark. 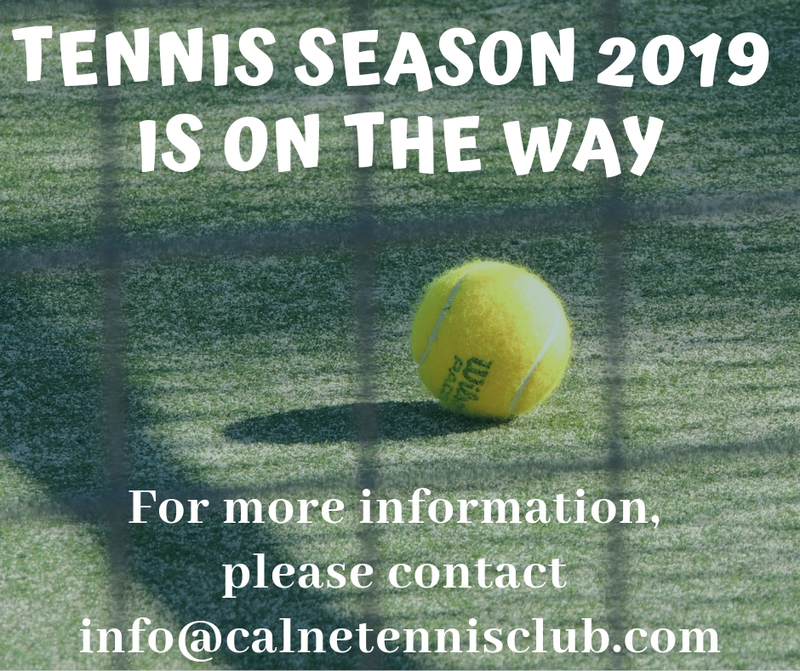 You will then be able to join Calne Tennis Club online and make payment. 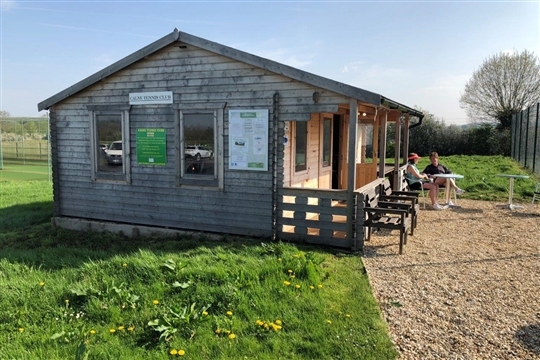 Calne Tennis Club offers a variety of membership packages to suit an individual or a family. 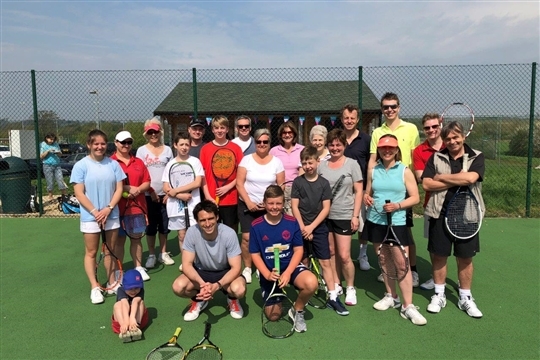 Full Members can use the courts free of charge at any time (subject to scheduled club sessions, matches and coaching lessons), take part in club sessions and tournaments and represent the club in competitive league matches. Off-Peak Membership is offered for those who may not be able to play as often as they'd like or for those on a tighter budget. These members are welcome to use the courts free of charge Monday to Friday until 6pm (subject to scheduled club sessions, matches and coaching lessons). Both the above packages are available for individuals or families. We also offer discounts for Students in full-time education and Seniors (60+). Junior Membership is split into categories. Juniors can use the courts at any time (subject to scheduled club sessions, matches and coaching lessons) but those up to 14 years should be accompanied by an adult. 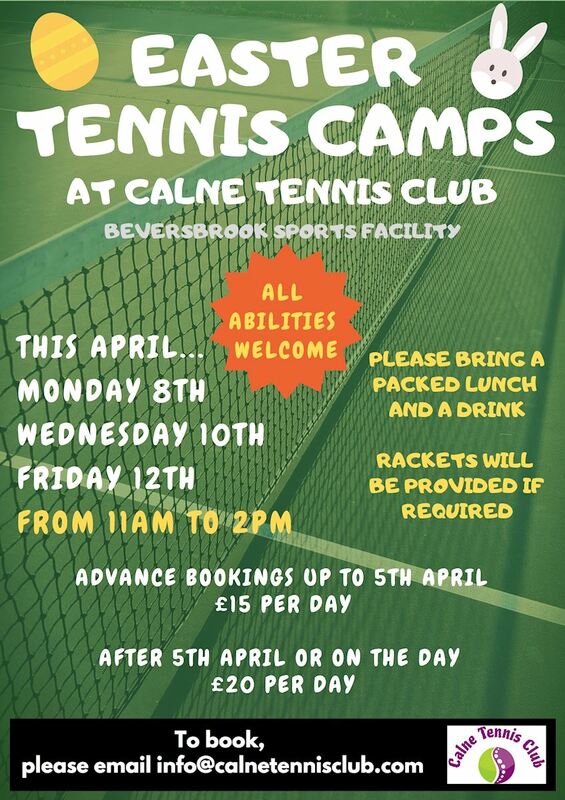 All juniors (under 18) in the coaching programme or taking individual lessons MUST be a member of Calne Tennis Club. This covers the individual on club insurance, supports club activities and the maintenance of the facilities.